Fair. 0816521395 PLEASE READ! This book WILL contain heavy wear, excessive highlighting/writing, loose binding, AND/OR water damage. Supplemental materials such as CDs or access codes may NOT be included regardless of title. Contact us with any questions! Fair. Creases on cover and/or spine. Next Day Processing. Daily shipments M-F from San Diego! * A fine NEW book at a fair price. Clean, tight, unmarked. Text is excellent. We ship within 24 hours, carefully wrapped. We guarantee your satisfaction. No need to pay more. We sell books from New to Acceptable. We take care to be accurate in our description. Most of our books were gently read and in fine condition. BNCTucsonbooks ships daily. Proceeds from the sales of books support an endowed scholarship to Brandeis University, Waltham Mass. Near Fine Condition. 9780816521395. VG+ 1st ed 1997 Univ Arizona paperback, impressive study, a little corner shelf-wear to cover only. Sent Airmail at no extra cost; Worldwide Shipping IMMEDIATE 1ST CLASS/AIRMAIL DISPATCH Quantity Available: 1. 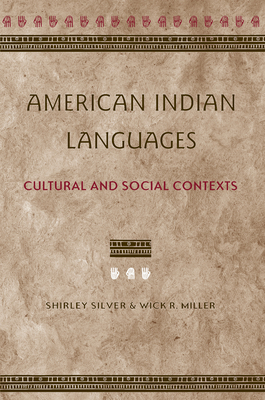 Category: Language & Linguistics; ISBN: 0816521395. ISBN/EAN: 9780816521395. Pictures of this item not already displayed here available upon request. Inventory No: 071092. Fine. 100% Money Back Guarantee. Brand New, Perfect Condition. We offer expedited shipping to all US locations. Over 3, 000, 000 happy customers. Trade paperback (US). Glued binding. 433 p. Contains: Illustrations. New. 100% Money Back Guarantee. Brand New, Perfect Condition. We offer expedited shipping to all US locations. Over 3, 000, 000 happy customers. Trade paperback (US). Glued binding. 433 p. Contains: Illustrations.